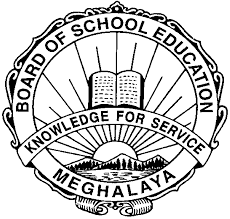 MBOSE HSSLC Results 2019 arts: Meghalaya Board of school education is all set to release the Meghalaya HSSLC Result 2019 shortly. Candidates who have attended the class 12th/ HSSLC (higher secondary school leaving examination) can check their examination result once the result is out on the official online portal of the board i.e., megresults.nic.in. Meghalaya Class 12 (XII) Results: In the previous year, make candidates had occupied the top two positions in the class 12th examination. However, the overall performance of female candidates was better than their male counterparts. This has created a great excitation and eager among the students to check their class 12th results and also hope to secure good marks that could fetch them with better chance to choose their further studies. The number of students who have taken part in the examination is more than the previous year and they all can check the results simultaneously online. Status: Results will be declared on may 2019. Students who have given their Meghalaya board Higher Secondary School Leaving Certificate Examination in the stream of arts, science and commerce are eagerly waiting to check their results. The process of releasing the result is under progress by the Meghalaya board of education and it is expected that the result may be out in the month of may. Hence, the candidates can look forward for the result anytime within may and they are suggested to keep checking the online portal of the Meghalaya education board where the results will be published. It must be noted that the result for Meghalaya HSSLC were released on 25th May 2018. In the current year, it is anticipated to be out on May, 2019. Step by step procedure to check MBOSE HSSLC 2019 Results easily? Visit the official website portal of Meghalaya board. You will find a link stating results and click on it. You will be directed to a new page. Once the page is opened, you need to enter your credentials like name and roll number in the appropriate fields. Save the copy of result for further reference. Iam the student of diploma 1st year . please release the result or date as soon as possible. we all are waiting for the first year sbtet results.